President & CEO, Safety Dynamics, Inc.
President, Advanced Innovative Solutions, L.L.C. President, Intelligent Sensor Technologies, L.L.C. Sally G. Fernandez is the founder, president and/or CEO of three high technology companies and one Professional Services companies. The three high technology companies in summary design, manufacture and distribute products for the Department of Defense, Homeland Security, Law Enforcement and other commercial applications. With over 13 years of experience as part of the management or executive teams of several fortune 500 companies including General Motors. Corporation, Anheuser-Busch Corporation, HealthNet, Hughes Aircraft Corporation and 26 years as an entrepreneur she has the knowledge and experience necessary to lead the vision and direction of these companies to attract potential acquirers such as DRS, BAE Systems, L3 Communications, 3M, Elbit Systems and many other Fortune 500 companies. Fernandez served or serves on the: Board of Trustees, United Way of America (UWA); Chairman of the Board United Way of Greater Tucson; Board of Directors, Bank of Tucson; Board of Directors Safety Dynamics, Inc.; Member, Tucson Airport Authority; Chairman of the Board, League of United Latin American Citizens Educational Service Centers; Board of Directors, U.S. Hispanic Chamber of Commerce; Board of Directors General Motors Corporation Foundation; and, many other organizations. Notable Hispanic American Women, Who’s Who In Hispanic Americans, and is a Leadership America Alum. About HFR HFR (Hedge Fund Research, Inc.) is the global leader in the alternative investment industry. Established in 1992, HFR specializes in the areas of indexation and analysis of hedge funds. HFR Database, the most comprehensive resource available for hedge fund investors, includes fund-level detail on historical performance and assets, as well as firm characteristics on both the broadest and most influential hedge fund managers. HFR has developed the industry’s most detailed fund classification system, enabling granular and specific queries for relative performance measurement, peer group analysis and benchmarking. HFR produces over 100 indices of hedge fund performance ranging from industry- aggregate levels down to specific, niche areas of sub-strategy and regional investment focus. With performance dating back to 1990, the HFRI Fund Weighted Composite Index is the industry’s most widely used standard benchmark of hedge fund performance globally. The HFR suite of Analysis Products leverages the HFR Database to provide detailed, current, comprehensive and relevant aggregate reference points on all facets of the hedge fund industry. HFR also offers consulting services for clients seeking customized top-level or more nuanced analysis. For the hedge fund industry’s leading investors and hedge fund managers, Hedge Fund Research is The Institutional Standard. Yaniv Zilberman is the Founder of Gesher Capital, the bridge between those who recognize the prospect that lies in Israel’s future and those who make that future a reality. The opportunity set in Israel has expanded considerably and is as dynamic as it has ever been. Israelis are finding new ways and areas for entrepreneurship and innovation, both locally and globally. What was once considered to be a single asset class producing country, is now the new land of opportunity. In an effort to create a platform that allows Israeli managers to grow and attain global exposure, the missing link was their access to foreign investors. Gesher Capital now enables that. Collaborating with Israel’s top investment houses, utilizing rigorous due diligence and extensive market knowledge, we deliver to our clientele preeminent opportunities with elite Israeli managers, unique strategies and irreplicable asset classes. We offer investment opportunities that meet the needs of HNW individuals, family offices and foundations. Yaniv Zilberman brings nearly 15 years of global capital markets experience as both a team and proprietary trader in Fixed Income, Equity and Energy Commodities. Having worked at some of the top proprietary trading firms in Chicago, Yaniv has managed risk and profitability through various market cycles, and offers a solid understanding of global and macroeconomic factors. Yaniv is a born and raised Israeli with a thorough knowledge of the Israeli economy, markets and culture. His exposure to adversities and opportunities in the Israeli investment arena, along with his professional partnerships, affords him a broader understanding of the industry. 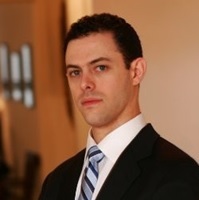 Mr. Zilberman is a Chartered Alternative Investment Analyst (CAIA). He earned a Master of Science in Finance from University of Wisconsin – Madison and his undergraduate degree in Economics from the College of Management in Tel Aviv. Yaniv is a FINRA Series 82 and 63 licensed.